Cash flow is a barometer of your business’ health. As long as you have cash flowing in and out of your business, you can keep the doors open for business, even if you are not profitable. Because managing YOUR cash is essential to to running YOUR business, let me start this chat by saying that YOUR cash flow is different from your profit and loss. It's important to UNDERSTAND this difference. ... just to name a few differences. The thing you MUST learn to have a successful business is cash management. Will you make mistakes at first? Of course ... but learn from them and build your lessons into your cash management plan so you're not blindsided again. Prompt invoicing, improving on accounts receivable collections (increase the flow of money coming in the door) or consider not accepting credit at all ... GASP!! You are a small business NOT a bank. Does your hairdresser float you a loan? Does the restaurant where you grab lunch say, "Hey why don't you run a tab"? QuickBooks Online allows you to invoice customers in real time and accept mobile payments. 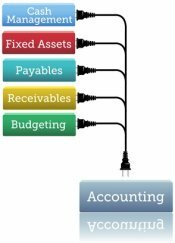 Setting pre-planned priorities on accounts payable payments so you can pay your vendors on time (read more below on how you can CONTROL the flow of cash leaving the business). QuickBooks Online can help you make real time decisions. Cutting expenses in a way that will not affect the long term viability of your business (reduce the amount of money going out the door). QuickBooks Online can help you automate your data entry ... increasing your data accuracy ... enabling you to make the critical decisions necessary. Reducing your inventory (free up cash) by using Quickbooks Online inventory features. QuickBooks Desktop is a better choice if you require complex inventory tasks such as assembly or units of measure. As a last resort (for me) securing a small business loan. I prefer to have all my financing well in place long before I ever need it, so I can manage it rather than have it manage me. I like sleeping at night so I don't want to have zero or negative working capital (drain my cash). Sometimes planning to draw on the line of credit is a good solution ... as long as you are also disciplined enough to pay it down as quickly as possible. QuickBooks Online is a FULL accounting package. It doesn't just track your invoicing or print out an expense report. It can track your financing as well. Get in the habit of monitoring and managing your cash daily. QuickBooks Online's bank feeds make it easy to do. The reason to pre-plan accounts payable priorities, as part of your financial plan, is so that you are not making bad decisions when YOU ARE IN A CRISIS. You have thought out your financial plan when you were not stressed and you were thinking clearly. Setting clearly laid out procedures will also help you reduce transactional costs. For example, tax compliance bills should receive different treatment than capital asset invoices, professional fees or utility services. S p r e a d i n g p a y m e n t s o u t o v e r t h e m o n t h instead of paying everything at once doesn't leave you vulnerable. Suppliers ... if you are short on cash when you sit down to pay your bills, consider making partial payments to your suppliers. That way everyone gets some payment and your credit rating stays intact. IF you are someone who would rather calculate things on the back of an napkin or in an Excel spreadsheet, I'll show you how to do just that. Get your cash on hand from your latest bank statement. Equals (=) projected cash at the end of the period. If the amount is positive, you will have cash on hand. If it is negative, I hope you have overdraft protection on your account because you are going to be short of cash. Cash flow expert Michael Nolan recommends an 8 week cash flow forecast in his April 10, 2009 New Hampshire Business Review article titled, "How to get control of your cash flow". Mr. Nolan suggests paying attention to detail and striving for accuracy. Why? "The better we forecast the better we will understand the sources and uses of the funds in this organization." 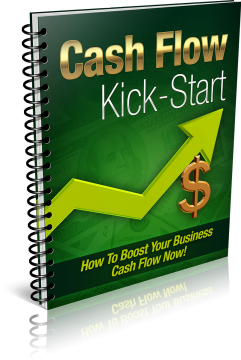 Have you ever asked yourself at any point while running your business, "Hey where did all my cash go?". Well your Cash Flow Statement shows you. If you are not utilizing this statement, you are missing a big chunk of information. Once you've asked the first question, the next question that usually arises can be a big stumper when you first start your business is, "How do I forecast my cashflow?". Here are a few options. This is a cash flow calculator that pictorially shows you the difference between profit and cashflow. Their site says that it is a fact "many business failures are profitable when they go under; [...] Cash flow is critical, but not intuitive." The calculator allows you to input your numbers to receive a quick overview of your cash flow situation. Experiment so you can see and understand the effect the different factors have on your cash flow. And because everyone is different ... here is another cash flow calculator that you may like better. Improve your cash management by using these cash flow tips. If you are stumped as to why you are always short on cash, learn to read your cash flow statement to help you solve the puzzle. Use these calculators and reports to help you monitor your cash flow and meet your financial planning goals. Remember, good cash management can help you stay afloat during those first critical years of starting a business when you may be operating at a loss. Profit is the goal but cash management is KING. Learn to manage your business cash. Take CONTROL of your business finances.